RAVPower designs unique, high-quality, low-cost backup power devices. To my knowledge, they created the very first backup battery-flashlight hybrid. Now they’ve done something else entirely – their newest device integrates a miniature WiFi file server into a backup battery: The RAVPower RP-WD01. The WD01 retails for $44.99 on Amazon. A variety of backup batteries inhabit marketplaces, but to my knowledge, no other company manufactures a storage-drive battery-bank hybrid. However, I did see a power bank/projector, but no other company manufactures a WiFi storage drive combined with a backup battery. Even compared to the weird gizmos I’ve seen on eBay, the WD01 is an extraordinarily exotic device. The WD01 can charge mobile devices and function as a standalone wireless storage drive, but do you need both features in the same package? And is it worth the money? It’s important to note that unlike the Corsair Voyager Air and Patriot Gauntlet we tested Corsair Voyager Air and Patriot Gauntlet 320 Comparative Review and Giveaway Corsair Voyager Air and Patriot Gauntlet 320 Comparative Review and Giveaway Portable hard drives are much more today than a simple enclosure with a wimpy USB 2.0 connection. Modern portable hard drive enclosures support numerous wired interfaces such as USB 3.0, eSATA, or even Thunderbolt; as... Read More , the RAVPower RP-WD01 isn’t fitted with any onboard flash memory or hard drive. It acts as a wireless file server, allowing you to insert SD cards, connect USB flash drives and portable hard drives, and access the data from your computer or mobile device. It comes in two boxes, the first fitted inside of the second, like a Matryoshka Doll. Inside of the second box lay the RP-WD01. It’s a slim, rectangular box, about the same size as a 2.5-inch hard drive or smartphone. Held under bright light, its piano-white finish displays a lustrous sheen. Aesthetically, it’s a very simple and straightforward design. It features four LED status indicator lights: A green battery status light, and blue WiFi, transfer and Internet display lights. Getting started with the RAVPower RP-WD01 doesn’t require much effort. There are two ways of using it: Either as a backup battery or a wireless storage drive. To recharge your device, simply plug it into your smartphone or tablet using its USB port. From there, it will begin recharging. To access the storage drive, you must perform a setup and configuration process or, alternatively, access it as a WiFi device (which I prefer). There are two ways that you can wirelessly access the flash storage device on the WD01. First, by connecting to the devices wirelessly through your desktop, smartphone or tablet; second, through a mobile application, such as the Android app RAV FileHub and AirStor, the iOS app. On a Windows desktop, I simply connected to the device’s WiFi access point ‘WiFiSD-XXXX’ (accessed through wireless networks) and then entered the password ‘11111111’. 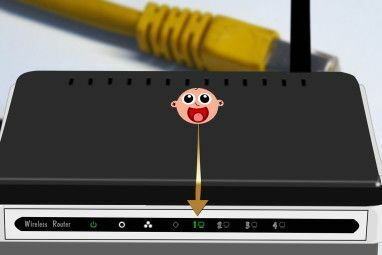 This step causes the connection to your router to drop off, as you are now connected to the WD01. The device then can be accessed through your web browser by visiting ‘10.10.10.254’. After that, I logged in (username: admin; password: none) and then gained access to the drive. At this point, you can also set a password and change the username. Instead of accessing the drive through a browser, you may also use RAVPower’s custom application, MobileFun. For those of you seeking to connect through your mobile device, the process is the same, and obviates the use of an app. There exist a great many ways of interacting with the files stored on the WD01. For additional set up and configuration tips, I suggest reading the extended manual, which includes information on using both the WD01 and your local network simultaneously. The WP01 possesses two distinct functions – first, as a file-server, second, as a backup battery. The WD01 offers a method to wirelessly sync files between mobile devices and/or desktops, without resorting to an external cloud server. For mobiles devices lacking SD card support, such as the Nexus series or many iOS devices, the WD01 offers a unique solution to a very serious design flaw. As a file server, the WD01 functions as well as one might expect. After a semi-lengthy, although uncomplicated, setup process, I found it quite easy to access and stream media files through my browser. It’s best seen as a simple location to store files which one can access via mobile device (or desktop). It also supports simultaneous connection of up to five devices. On the downside, the custom software used to link the WP01 to desktops needs more visual polish. Although functional and easy to use, its graphical interface appears far less polished than the mobile apps available. On the other hand, you can access the WD01 using any file explorer capable of interacting with SAMBA or SMB connections (read our article on setting up streaming techologies, such as SMB Top Free Ways to Stream Video from Your Computer to Your Mobile or Tablet Top Free Ways to Stream Video from Your Computer to Your Mobile or Tablet Have a bunch of video files on your computer but want to watch them on your tablet? Not a problem. Read More ). 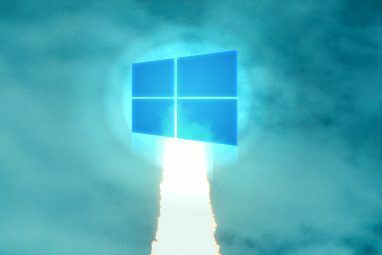 Given the ease of accessing the drive through a browser or file explorer, the accompanying software is entirely optional. Android: Connecting to the WD01 can be done using either your favorite file application, through a web browser or using RAVPower’s RAV Filehub app. The connection process is incredibly simple. Just connect to the ‘WiFiSD-XXXX’ WiFi network and input the password, which is blank, without additional configuration. iOS: RAVPower also publishes a pairing app that you can find in their app store: AirStor. However, I was unable to test this app, and cannot speak as to its quality. Reviews generally favor the app, though. As a side note: for those of you getting poor battery life on iOS 7 What Can You Do About Poor Battery Life in iOS 7? What Can You Do About Poor Battery Life in iOS 7? You'll be pleased to know there are a few steps you can take to make your phone last longer under iOS 7, though they'll cost you in terms of shiny new features. Read More , you might be better off adjusting your settings. Accessing the WP01 on a Windows 7 machine through USB didn’t require much work at all. I simply connected the device and my files were accessible as an external storage device. Transfer speeds were on par with writing to flash memory over a USB cable, at around 3-3.5 MB/s. It’s also worth noting that you can connect both an SD card and a USB flash storage device – these show up as separate drives. While many desktop users might scoff at the utility of such a feature, this adds a great deal of value to mobile users who lack both SD card and USB drive slots. RAVPower recommends discharging and charging the battery four to five times before it reaches its maximum performance. I only discharged it twice, but found it performed as expected pretty much out of the box. After plugging it in to a standard USB port, the WP01 managed to recharge in about 3-4 hours, which is about right for a 3,000 mAh battery. Using the USB cable included with the battery, I found that the battery charged a Nexus 7 (4,325 mAh battery) in a slightly longer period amount of time (more than four hours). For a 3,000 mAh battery, the WD01 borders on the bulky, although its slim form factor grants it a high degree of portability. It fits inside of most coat and pants pockets, although with not a great deal of room remaining. A note of caution: I must warn against using a short-length USB cable. Short-length USB cables provide less electrical resistance, and therefore there’s less loss of power when energy transfers between the battery bank and your device. However, I’ve noticed that short-length cables tend to cause the battery bank to overheat, which might prove disastrous. I tried a short-length cable with the WD01 and didn’t experience any overheating. If you prefer the efficiency of a short-length cable, as a precaution, I would read up on the potential dangers that an overcharged battery can cause. 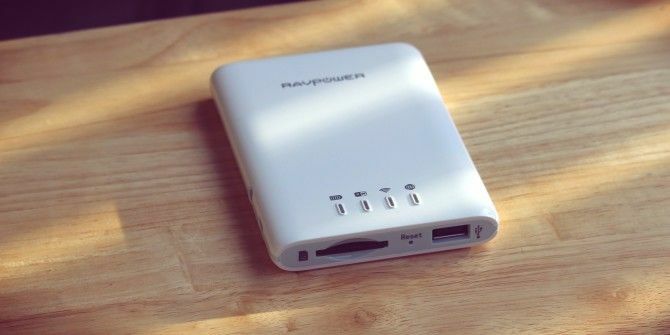 Should you buy the RAVPower RP-WD01 Wireless File Hub and Power Bank? The RAVPower RP-WD01 provides a unique device in the sea of backup batteries available to consumers. In my experience, it’s a well-designed, highly functional device with few vices. While the pairing software and process need a bit more visual polish (such as drag-and-drop functionality), the overall experience feels seamless and efficient. For what you pay ($44.99) on Amazon, the WD01 absolutely kills as a multifunctional device. While the onboard storage won’t hold much more than the size of the SD card or flash drive that you use, it’s great for keeping important documents that you may need to access wirelessly from a mobile device lacking an SD card slot. I highly recommend the device for mobile professionals who occasionally need to access information held on an SD card. As backup battery, the 3,000 mAh capacity is enough to fully charge most smartphones and many tablets. Congratulations, Rocco Marchese! You would have received an email from jackson@makeuseof.com. Please respond before February 21 to claim your prize. Enquires beyond this date will not be entertained. Explore more about: Battery Life, MakeUseOf Giveaway, Wi-Fi. it lasts all day if i do not look or touch it!!!!! It can last more than a day but not if i use demanding apps. I don't use a battery pack. I do keep a usb cable with me when possible. My Phone can’t last a day. Keeps it plugged to power when at home or office. My phone makes it through the day. No, my phone always dead before the day ends (using wifi, games). I have an Optimus F3, and the battery will last an entire day of tethering, or 2-3 days of normal use. Still and all, I make sure I have power points around in case I need them. My Phone can't last a day. Keeps it plugged to power when at home or office. My iPhone 5S lasts almost the entire day, then again, I have a charging station at my desk so staying charged is not an issue. this looks like a nice utility for me. I use my phone very, very rarely. So I don't need to recharge it often. My phone usually last a day, if I don't use it much that is. I usually carry power bank around. I always hunt for electrical points. my current phone is chinese android smartphone THL with 2000 mah battery. yes, it could last for a day with average using. but i have the second battery, keeping it always fully charged and sometimes i carry it with me. My Nokia N8 last for 2 days before going empty when used lightly. But I always carry my USB battery pack, because I use the camera on my phone very often. My phone finishes its battery half day, and I always find a way to charge it although I got a few of devices to use. YES, If the data not clicked. No. No. From time to time. I get only enough power for a day, so a charger might be a good solution. The battery doesn't last a day and hence I have to carry a battery pack. My phone battery doesn't last a day and so I carry a battery pack and a charger with me but if possible, I prefer looking for an electrical point and charge the phone! My phone will last all day as long as don't play this time sucking game called Bubble Wars. Yes, but only one day! Kinda gets me a day, but depending as well if i have to be out that long and haven't been able to charge before leaving the house. That's when it runs out. A power bank will be a huge deal if chances are. Not usually. I often have a spare battery, but am not a stranger to looking for outlets to top up the in-use one at the time. I want to use it, but I haven`t use it yet. It lasts the whole day easily unless I go to the Farraday cage that is my work. My S3 can last the day with minimal use but that is rare. No but I would like to. Usually looking for a spare usb port, electrical socket or car lighter socket. No, while at school, my carrier signal dies off and comes back on. Plus the school's wifi makes my phone want to switch back and forth all the time between a carrier signals and a wifi signal that it can't login to simply because I have to leave the sign-in for my laptop! There are many times, despite the fact I'll have the sound off, when my phone will let out a loud beep, and it will be the battery warning. Phone battery lasts all day. I don't have a battery bank, and my phone requires 4 charges in a day. If i'm extremely careful then i can just about squeeze a day out of my phone, but using wifi or 3G kills the battery in my Xperia S in no time - very disappointed with the battery life. yes my phones battery lasts all day.No ,i dont use a battery pack .I hunt for electrical points in about two days. My phone will last all day if I don't go on line withit - otherwise I'm constantly searching for re-charge points. Big hassle cause I like everything else abt the phone. My phone battery last more days. I don't use a battery pack but i'd like have one. My phone's battery lasts two days without charging with normal usage. Yes my bat last the day, I need this product, I must have an outlet every 30 hours! These are really popular, I have a similiar one and boy does it come in handy with all the gadgets I carrry around with me during the work day. I have a Galaxy S III, and for the most part it lasts me an from 9am thru 11pm with 20% left over, before I charge it overnight, though I haven't tested it to its maximum limit. I do not own an iphone just a basic phone, battery lasts about one week on my old phone. Thank you for the great contests you have on your site!! My batt cannot last the day. Yes, I have one cheap powerbank as emergency power backup. No, it can't. I'm hunt for electrical points. I usually manage a full day out of my phone, my iPads too (most of the time). But I've had situations where have backup to be critical. I have a mophie battery case for my phone and a backup USB battery. my phone battery lasts all day but it isn't a smartphone. Yes, my phone's battery can do it. No, i don't use battery pack. Yea, i'm always searching for electrical points. my phone battery lasts the day. Yes, my phone's battery can last for a day usually. Yes, I have a battery pack for emergency. No, I don't normally search for electronic point. Never been out of power and in a dire need. It's plugged in whenever possible. It does not last the day! Nope, it don't last a day. My phone last a day. I typically last until the end of the work day and then plug in for the commute home in the car in order to last the evening. Battery and external storage can be used to share files between multiple devices which is really great. my phone's battery can last for a day usually. I do not have a battery pack for emergency. Almost a day. I use a battery pack. My iPhone 5 won't last a day, but I am normally at my workstation so I always have the slots to juice my phone but when I'm outside my home office, well that's a different story. My phone battery last a day! My phone is constantly running out of battery, so I use a battery case. Having an extra charging option would be great. Not to mention the other great benefits this device supplies. My phone can last the day if I only use it for phone calls/texts and some minor browsing/light gameplay. I am currently in the hunt for battery extending-solutions. My phone can only last the day if I make sure I use the Smart Battery app and turn off Wifi, Data, Sync and Bluetooth. My battery won't last a day w/o charging. A portable charging device would come in handy. Yes, I carry a Trent. Yeah I hunt for electric points.. and I curently dont use a battery pack.. My phone sometime lasts a day when I dont have 3G activated..
Moto X can last two days with light browsing. I have a dumbphone. A charge can usually last 3-4 days. My phone can last through a weekday no problem, but it struggles on weekends when I use it more. Sometimes I need to charge whenever I can. I really need a battery pack. My phone battery last a day, I dont use a pack, and I dont hut for elctrical points. I use a mil-spec Samsung flip phone, so I normally get days of battery time unless I talk on it a lot. I use a battery pack when I am away from home for a few days, and for other USB powered and chargeable devices. I also like to have one around for friends whose phone batteries are always running low. Having one that would also act as wireless storage would be great. My only problem with the review is that it did not say what the maximum capacity of the card slot was. If I'm constantly on my phone, it wouldn't last me a day. So I do carry around a powerbank. That's I hate about my phone. Planning to buy backup battery. I usually don't have any problems with phone usage and recharging and my phone is well able to last the day. Don't currently use a battery pack but I'd probably use some of the other smartphone features more if I had a backup like this. My phone lasts a day in normal condition, anyway I also buy for me a backup battery because if I play games continuously, it can't bear over 5 hours. I still remember the old Samsung F300 with external battery... some old great memories!!! Yes it lasts for a day. yes it last all day with not regular use. Battery is about done, time to buy a new one....or a new phone! Yes it lasts all day (most of the time). I use a battery case for my iPhone. My battery would last all day if it were used only for phone calls. However, I use it for so many other things that it does not make it through the day without my using the back up battery or charging it. My phone typically makes it through the day easily, but this would be a nice "just in case"
Yes all the time under heavy use. I would think a device worth that much should be able to last longer. The battery pack is nice but it's the same situation but now I need to charge two devices now. Yes and yes, but barely. I did have to buy a phone case that had a battery to improve the battery life. My Phone last for more than one day. I have a special place I put my charging cord so I know where to get it every time that I need to charge my phone. Mine can only if I keep my WiFi turned off all day. My phone usually lasts, but when traveling i carry a battery backup. I can go a day, sometimes two but I am very close to adding a Mophie Juice box. I don't have a cell phone, but if I win, I'd give this to my son to use. Yes, if I don't use it. Yes, especially when playing Ingress. Yes, I always have a wall wart and cable handy. Mine lasts the day, don't have a battery pack. My phone almost makes it a day, but ends up dying in the evening. I don't have a backup so I use multiple charge cables throughout the day when needed. My phone battery usually does not run down unless I have a day of extreme usage. I would love to have a battery pack for the times I travel. Often runs out of juice before the end of the day! have a small battery pack just for a extra 20-30min of talk time. otherwise i carry a charger with me. No my phone battery will not last all day. I don't use a battery, but do carry my charging cord and need to plug in a couple of times per day. I don't have a battery pack but wish I did, my phones battery is often low after using for calls and a quick search or two on the web. I keep a hot spot around so I can usually bump my signal. My phone battery lasts all day, but I don't use mine constantly and I keep all the extra apps off whenever not in use. No, I have a Nexus 4 and I hate to plug at every wall outlet I find to prevent its battery from running out on me when I am out of my house!! I don't own any battery pack!! Neither my LG or Lumia's battery last for 1 day, I have to charge at least once a day. My note II can survive a day, but under heavy use, it can become problematic. I have a Note II and it's battery is larger enough to go most of the day...most days. I have an external battery that I use to charge on the go, if needed. If I won this, it would mainly be for media sharing between it and either my Phone or Nexus 7...since Google's infinite wisdom doesn't allow for expandable memory. I currently don't have a phone so I'll probably just give this to a friend. I have a battery pack which I use when necessary. Depending on what I do with it, my phone's battery will usually last a couple of days. Sometimes it'll almost last a full week, if I don't use it for anything other than the occasional text message. My phones battery does alright, i definitely need to charge it when i get home from work. But i have a charger at work just in case. Usually my phones battery lasts usually a day and i don't need to use Power banks. My phone lasts all day. I don't use a battery pack. I don't constantly hunt for an outlet. I do have a need for a simple file server though. Most days it lasts. It depends on what I have running on it. Generally, my phone lasts the day, but I keep mobile data and GPS turned off. However, when we went to Disney World, I used a battery case, which barely got me through the day using data and GPS regularly. Mine lasts all day if I'm not using it but if I play games it drains the power. No battery pack though. I can only dream about battery last for a day,so I'm in that neverending game:"Find a place where you can plug to"
My phone will barely make it a full day. This device or one like it would be a God-send. blessing because we can never find one when we need it!! Yeah, with CM on my S2 it lasts longer then on stock firmware. I have no smartphone. The handy lasts up to three weeks. Thats good. So I didn't need any battery pack. I carry a battery pack just in case but my phone does last a day. My phone can last quite awhile, more than a day. Unfortunately it lacks the available storage. I love my phone, but I want a portable device that isn't for charging but more of an extended drive, where I can access and stream data to my mobile device. I usually leave it charging overnight, plus I have a car charger, so I rarely have issues. Am always hunting. battery power seems to get worse every day. Last throughout the day when I want it to! Actually my phone battery is fine. i had a 3-year-old iPhone 4 until recently and that was pretty much shot, but then i upgraded to a 5S and its got plenty of juice. My battery comes for around 3-4 days !! My phone battery last at least two days long, so I don't use this kind of power devices for now. My phone is several years old now. I've replaced the battery, but the phone itself is getting a bit flaky. If I have reflashed it recently, and therefore no background processes are getting stuck and keeping the processor working full speed and non-stop, the battery in my phone can last the day. Once a process pegs CPU usage though, the battery has less than two hours to live. My phone battery can usually last 1 day, and I dont have a battery pack. It does most the time since I installed the battery saver prog. But I find it can last almost a couple of days if I keep mobile data turned off. Mine usually lasts the day, but I do keep it plugged in while I'm in the car. Otherwise using the GPS kills it.